Tim Zorc has held many appointed and elected positions within local, state and federal government entities. To help foster his relationships with elected officials both inside and outside of Florida, Tim finds himself behind the scenes of many campaigns as a grassroots and issues volunteer, with over 10,000 community service volunteer hours in Indian River County. 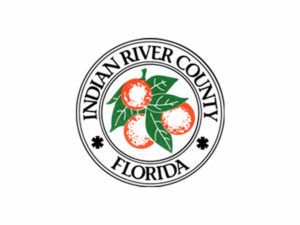 Tim proudly serves as District 3 County Commissioner for Indian River County. The team of Commissioners are responsible for overseeing 56 departments and divisions with over 1,300 employees and an annual budget of more than $300 million. Community workshops on energy, environment, development costs and processes. As the Founding Board Member of “STIRLEN” – Save the Indian River Lagoon Estuary Now – Tim is highly involved in recovering and restoring the Indian River Lagoon. The Lagoon is a highly diverse, unique estuary that spans approximately 40% of Florida’s east coast. The Indian River Lagoon plays a critical role for migratory and indigenous wildlife, protects against coastal erosion and provides a safe habitat for a wide variety of marine animals and plants. By preserving and protecting the Lagoon, there will be a significant decline in manatee, dolphin and seabird deaths, as well as a continued economic driver for Indian River County.